“Italian archaeologists have discovered a hidden tunnel beneath Hadrian’s Villa near Rome, part of a network of galleries and passageways that would have been used by slaves to discreetly service the sprawling imperial palace. The newly-found tunnel was large enough to have taken carts and wagons, which would have ferried food, fire wood and other goods from one part of the sprawling palace to another. The villa, at Tivoli, about 20 miles east of Rome, was built by Hadrian in the 2nd century AD and was the largest ever constructed in the Roman period. It covered around 250 acres and consisted of more than 30 major buildings. Although known as a villa, it was in fact a vast country estate which consisted of palaces, libraries, heated baths, theatres, courtyards and landscaped gardens. There were outdoor ornamental pools adorned with green marble crocodiles, as well as a perfectly round, artificial island in the middle of a pond. Beneath the complex were more than two miles of tunnels which would have enabled slaves to move from the basement of one building to another without being seen by the emperor, his family and imperial dignitaries. The newly-discovered underground passageway has been dubbed by archaeologists the Great Underground Road — in Italian the Strada Carrabile. Many of the tunnels have been known about for decades but this one is far larger than the rest. It was discovered after archaeologists working at the site stumbled upon a small hole in the ground, hidden by bushes and brambles, which led to the main gallery. Around 10ft wide, it runs in a north-easterly direction and then switches towards the south. 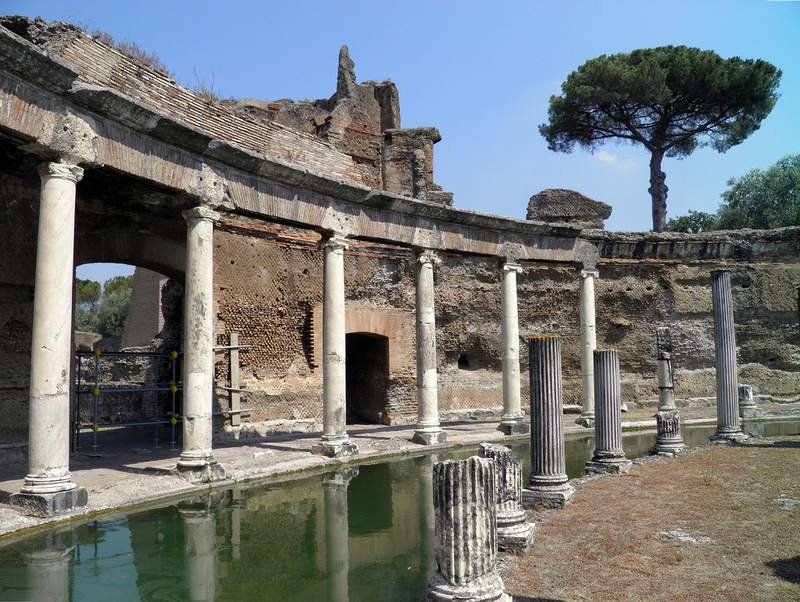 “All the majesty of the villa is reflected underground,” Vittoria Fresi, the archaeologist leading the research project, told Il Messagero newspaper. “The underground network helps us to understand the structures that are above ground.” In contrast to the palace, which fell into disrepair after the fall of the Roman Empire and was plundered for its stone, the underground network remains “almost intact”. The tunnel has been explored by a society of amateur archaeologists with caving and abseiling skills, as well as by wire-controlled robots equipped with cameras. Much of it is blocked by debris that has accumulated over the centuries. Heritage officials are hoping to organise the first public tours of the tunnels in the autumn. “After a lot of work, we are preparing to open several areas to guided visits,” said Benedetta Adembri, the director of Hadrian’s Villa. Wonderful exciting news Carole. Thank you. next installment and surprise that Hadrian will present to us.